It’s the last weekend before Christmas, so it’s a good time to grab all of your recording devices (phones, cameras, video cameras, iPads etc – whatever you’re going to use) and make sure they have storage space on them and have a full charge. If they take batteries that might need changing, ensure you have spares for emergencies. You have all weekend, so you may want to take all the photos and videos off, file them and back them up, too. That way you have a fresh start with completely empty cards. Merry Christmas, and enjoy capturing those special moments! 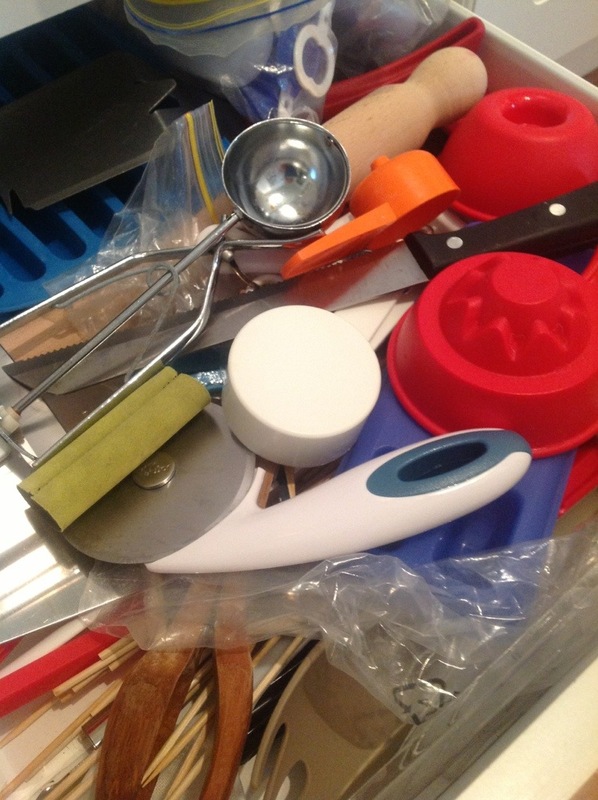 This week – the utensil drawer. 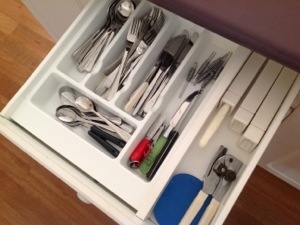 This is where stuff that won’t fit in the cutlery drawer goes. And it can get rather messy! Lay out a towel on the kitchen floor. How many of these do I have? Will I use it again more than a couple of times a year? Is it still in good working order? Can I live without it (that’s me being facetious – unless you have a dialysis machine in there, of course can live without it). 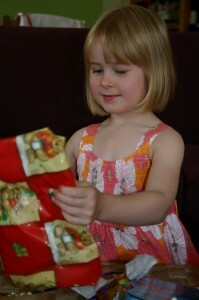 Does my bestie/mother/sister/neighbour have one I can borrow if I do need it again one day? Put the rest back in the drawer in its groups. You may need to use ziplock bags to group the small stuff together, and drawer dividers to keep it all from getting too jumbled again. This week we’re tacking the cutlery drawer. It’s a short job, but with great satisfaction because you use it so frequently. I did it today myself and it took me only 8 minutes! (mind you, mine was more dirty than cluttered so most of the time taken was cleaning the cutlery tray!). It should still take you less than 15 minutes. Take out the cutlery tray, if you have one (if you don’t, get one as it prevents a lot of searching!) and give it a good clean. Assess your piles on the counter. What do you use all the time? How many do you REALLY need? What do you never use? What can you live without? (ie, if you didn’t have one, you could still make do). Smile every time you open the drawer! It’s quite common for our cars to get a little messy inside. 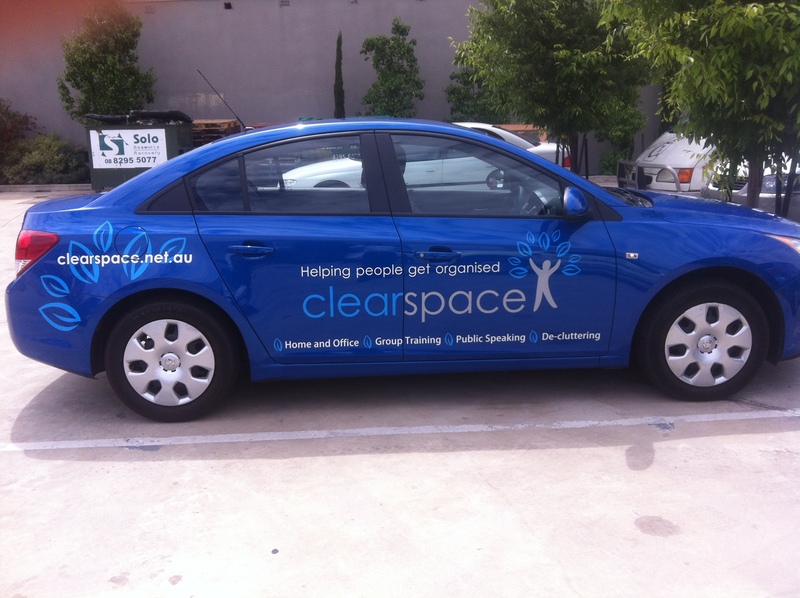 This weekend your mission is to clear out the junk and make sure you’ve got all the things you need in your car. 1. Empty out the rubbish. 2. 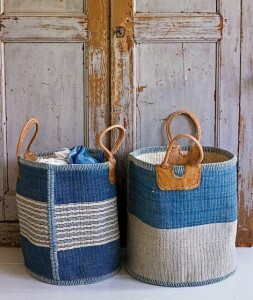 Take out things that don’t live in there and out them in their homes inside the house or garage. 3. Give it a bit of a wipe down and vacuum if it needs it. 4. Make a list of things that are handy to have in the car. It may include: tissues, rubbish bags, shopping bags, maps, first aid kit, spare sunnies, books, notepad, pens, a bottle of water (for the radiator, not to drink), spare hats, spare umbrella, sunscreen (essential in our hot Aussie summer!) or anything else you find you need when out and about. 5. Find suitable storage for those items (you can get special organisers for the car or just make up your own) and put it all back in. 6. Try to make a habit of tidying your car whenever you get home and teach your kids to do the same with the back seat. This weekend we’re going to attack some old paperwork. You don’t need to spend all weekend on it – you can spend as little as 15 minutes and make a difference! Find some old filing in the home and take a handful of it out of the files. Assess each piece of paperwork one at a time and ask yourself if you need to keep it or not. It makes you very happy. VERY. You can spend as little or as long as you want, as long as you ditch as much as you can in that time! The Not Ours spot (or box, or basket…). If you don’t have a home for things that don’t belong to you, you need one of these! Create a home (it needs to be fairly accessible if frequent-access things like library books will be stored there) and use a basket or tub to contain the items. Every time you have a visitor, check your box to see if they have anything in there that belongs to them. 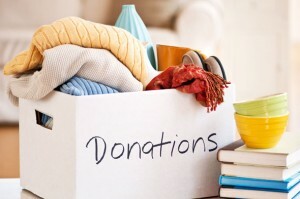 Likewise if you visit someone – check the box first so you can return their items to them. Report back when you have created your “home away from home” spot. Feel free to post pics of it so we can celebrate with you!